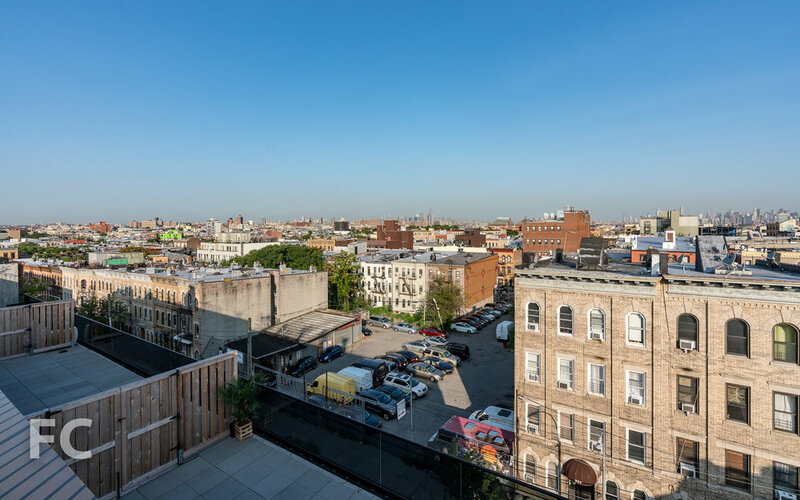 Construction has wrapped up at Glassworks Bushwick, the residential conversion of the Dannenhoffer Opalescent Glassworks factory in Bushwick. Likely built around 1888, the site's original use was for the production and manufacturing of opalescent glass. Developer and architect ASH NYC and JV Partner Martin Lomazow led the conversion to residential rentals, ranging from studios to three-bedrooms. 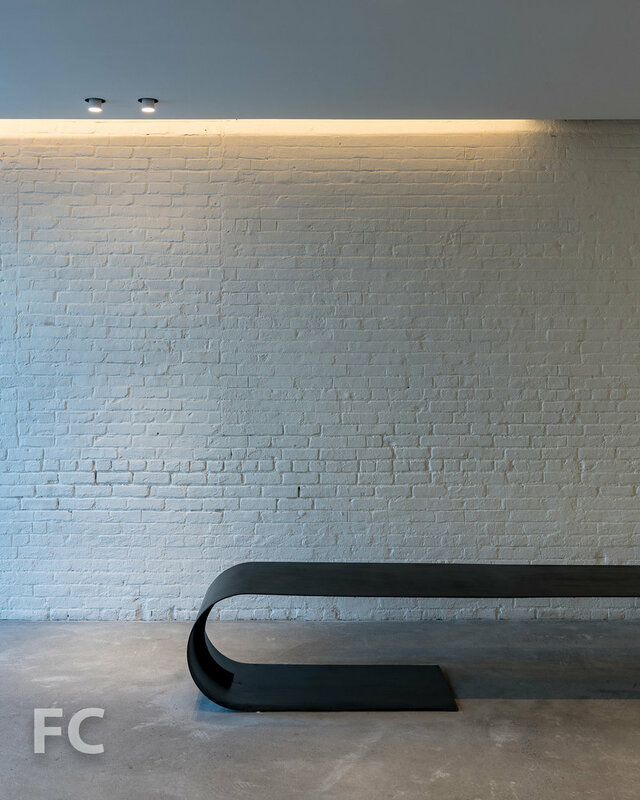 ASH NYC has designed elements throughout the building like the staircase and light fixtures that reference the site's manufacturing history through material choice. Residents have access to an assortment of amenities including a communal roof deck, landscaped yard designed by Brooklyn Grange, resident lounge, gym, laundry room, parking, and Virtual Doorman. Looking up from the courtyard. View of the courtyard from a private balcony. View from the rooftop deck. 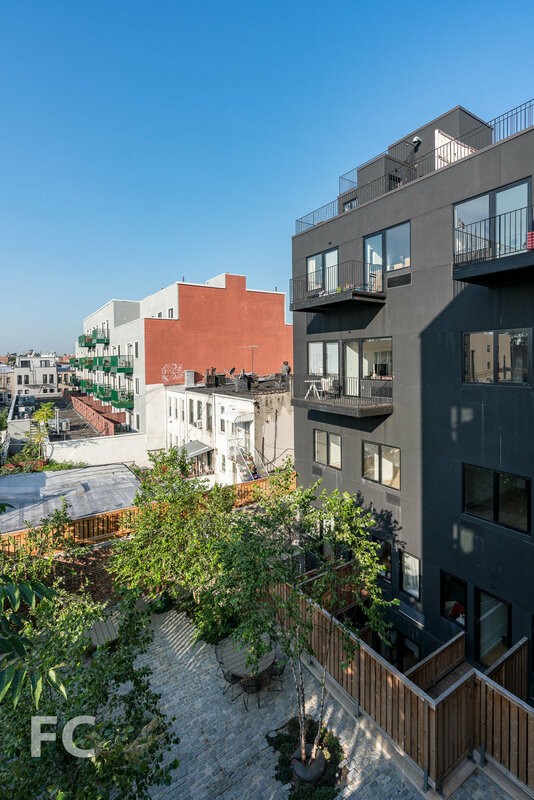 Architect/Developer: ASH NYC; Development Partner: Martin Lomazow; Program: Residential Rental; Location: Bushwick, Brooklyn, NY; Completion: 2018.